Delphine and Edgar welcome you to the farm, where you can attend the cow milking, buy fresh organic milk, flour and rapeseed oil in first cold-pressed in 1L or 0.50L bottles. Possible farm visit by reservation. 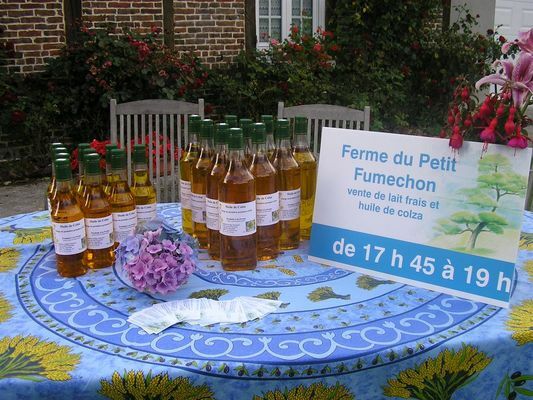 There is no review about Ferme Du Petit Fumechon, be the first to leave one !